Bekijk alle details van de tribal weedspeed pb eenvoudig online bij TelstarSurf.nl. Geniet zo snel mogelijk van je nieuwe aankoop, bestel vandaag nog in de online surfshop. The reality for many of the fast local venues is seaweed. 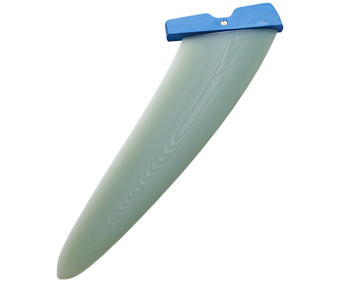 It is essential to have a windsurfing fin that sheds weed, yet still lets you unleash the potential of the flat water and wind available. 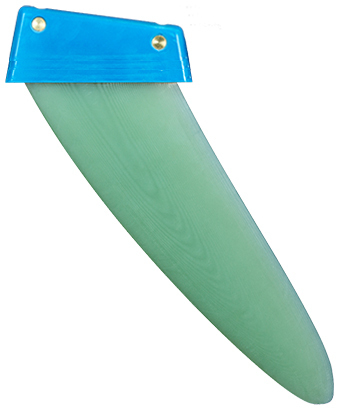 We introduce a new concept in weed fin design. 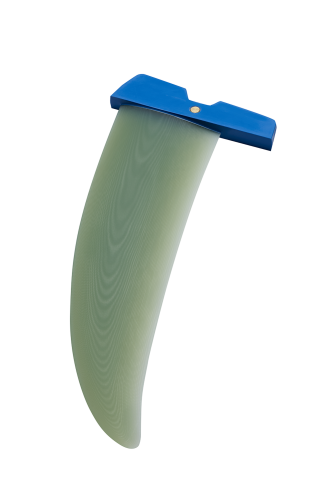 The Tribal line looks unconventional due to the large curvature on the blade leading edge. 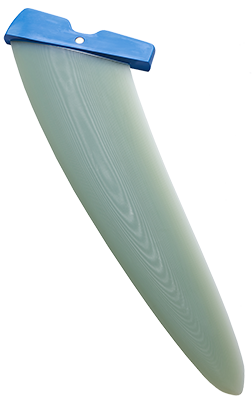 With straight leading edge weed fins, the rake has to be set for the span-wise flow to pull seaweed along the leading edge to the tip. This causes the lifting surface in the tip to be located a long way behind the centre of rotation of the board (trim axis). This is not really a problem deep off the wind with short speed fins, but as you go larger the problem becomes worse. In the end the straight leading edge is a big compromise in balance. Upwind or across the wind, where the centre of pressure of the fin is too far back for optimal balance with the rig, is where you notice this the most. 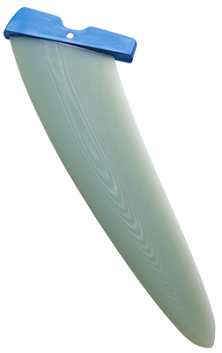 We also used some techniques to control mechanically induced twist, so that the fin doesn’t lose power as you load it hard and try to bend it. 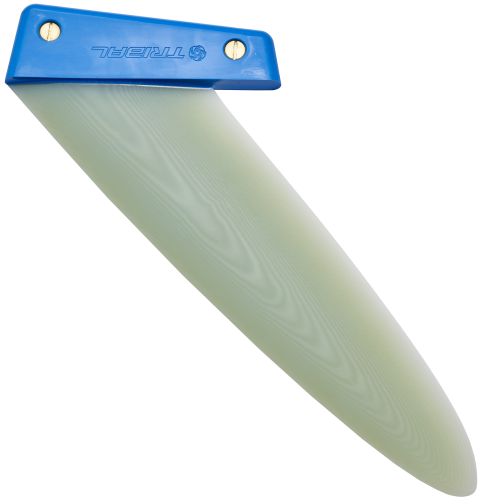 These fins are perfect in slalom boards when seaweed is a problem, or when you want to turn your slalom board into a speed board.